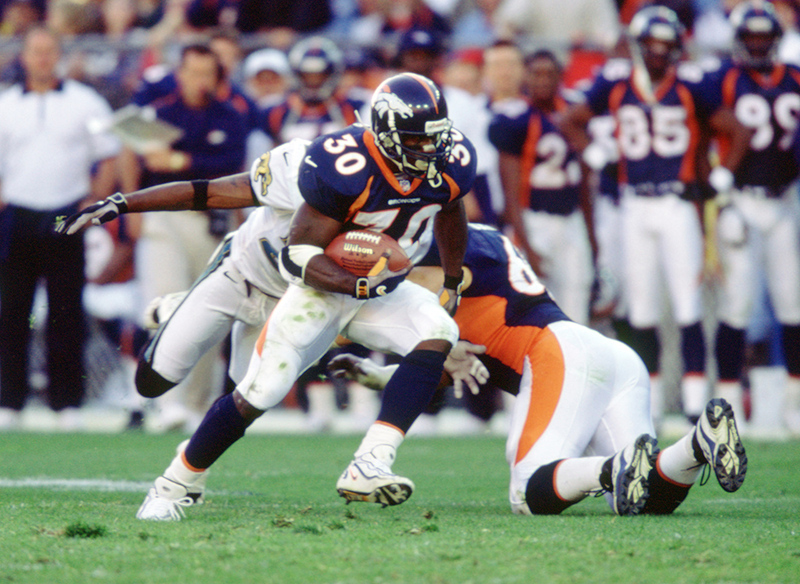 Denver Broncos Terrell Davis (30) during a game his 1998 season with the the Denver Broncos. Terrell Davis played for 7 years all with the Broncos and was a 3-time Pro Bowler. The Broncos close the regular season with a 14-2 record, best in franchise history, by virtue of a 28-21 win over Seattle. It marks the third consecutive season in which the club went undefeated at home as it joins just three other teams in NFL history to accomplish the feat and becomes the first to do so since the 16-game schedule was instituted in 1978.